The Olusegun Obasanjo Foundation on Friday said it has fired a member of its Board of Trustees, Anne Welsh, following shocking reports that she plotted to help some Lebanese businessmen to launder millions of dollars. A new video obtained by SaharaReporters and published Thursday suggested Mrs. Welsh “operated a well-oiled money-laundering scheme for many years”. In the video, which the news website said was discreetly shot by one of the participants at a meeting in the United Kingdom in December 2014, Ms. Welsh was seen negotiating a $4.9 million money laundering scheme that would have seen her pocket about a million dollars. She was seen exploiting the Ebola Virus Disease tragedy in West Africa to help a group of “Lebanese businessmen” who wished to donate money to the Obasanjo Foundation for some work in Sierra Leone. The group, the video indicates, explained it would make the donation on one condition: the Obasanjo Foundation would get $2m, as long as it helps launder the balance of $2.9m. But when contacted Friday, the Founder/Chairman of the Foundation, Olusegun Obasanjo, said he, other trustees of the organization as well as staff of the Foundation were deeply saddened and disturbed by the allegations against Mrs. Weish. “Accordingly, the Board of Trustees has asked her to immediately resign, and she has done so.” Mr. Obasanjo told Premium Times on telephone. The former Nigerian President also said the Foundation has launched a full-scale investigation into the allegations and has already reported the matter to the London Metropolitan Police and the UK Charity Commission for a thorough probe. “We have asked the two authorities to investigate the matter exhaustively,” Mr. Obasanjo said. The former President also said his Foundation had already contacted personalities mentioned or photographed with Mrs Welsh in the publication that revealed the deal as well as other dignitaries and partners to inform them that” she has now become a persona non grata with the Foundation and its Chairman/Founder”. 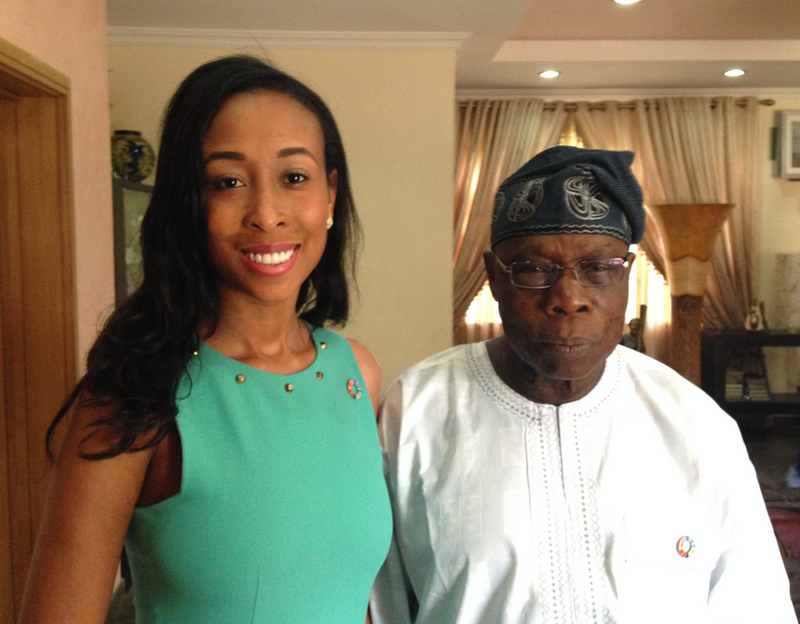 Mr. Obasanjo however explained that Mrs Welsh had ceased to be chief executive officer of the Foundation in December 2014 when she reportedly met the Lebanese businessmen to strike the alleged money laundering deal. “The CEO of the Foundation at that time was Franklin Lisk,” the former President said. Mr. Obasanjo said he would travel to London to make more enquiry about the matter and that his Foundation would soon release a formal statement on the development. “I can never associate myself with anything that has to do with money laundering and corruption, and this is a very disturbing development for us all,” the former President said. According to information on the UK Charity Commission’s website, the Olusegun Obasanjo Foundation was granted charity status by the Charity Commission of England and Wales on September 24, 2012 with the vision of advancing human security in Africa. The charity, according to its 2013 annual report “works with countries across Africa —with a current focus on Republic of Benin, Cote d’Ivoire, Ghana, Liberia, Malawi, Nigeria, Senegal and Ethiopia —that are at development turning-points, where there is clear potential and a leader with the vision and will to achieve progress”.